Lanolin, obtained as a bye product of sheep shearing, is a raw material for Vit. D3 manufacture. Please see this link (click here) for an interesting insight! * Muscle pains, back pains and general tiredness without any specific reason? Could be Vit. D3 deficiency! * 50% of the global population suffers Vit. D3 deficiency! * 80% of the Indian population suffers Vit. D3 deficiency! Vit. D3 is chiefly synthesized in human skin (and skin of vertebrates) by using UVB rays of sunlight (a photochemical reaction occuring in the epidermis of skin). Vit. D3 in small amounts is also available in foods: milk, liver, dairy products, eggs, fish, cod liver oil and some plants. Certain lichen produce Vit. D3 (vegetarian source). 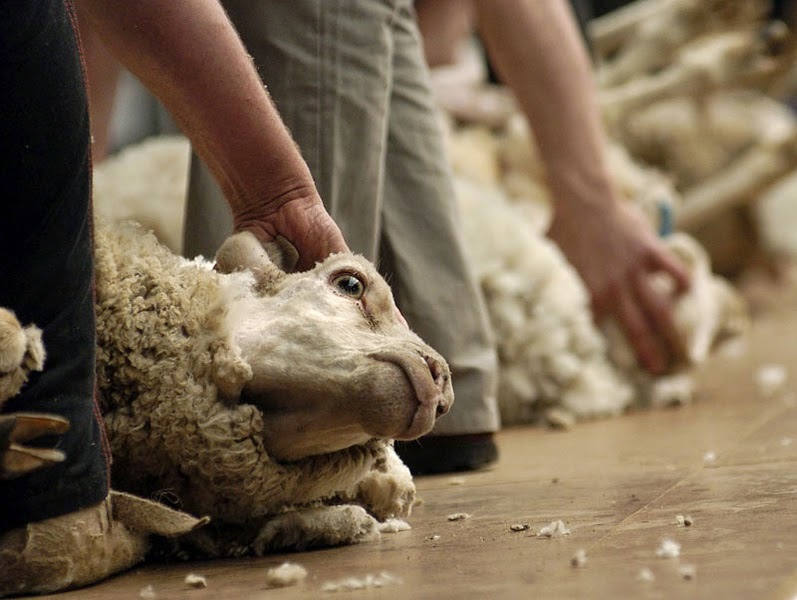 Cholesterol is extracted from wool lanolin/wool alcohols left behind when sheep are sheared. The cholesterol obtained from wool lanolin, is chemically converted to 7 dehydro cholesterol through a 4 step process. The 7 dehydro cholesterol is then irradiated with UVB rays and purified to obtain a resin-like substance (Vit. D3). Irradiation of milk/organic foods also causes Vit. D3 production in the irradiated substance. Doctors recommend: 60000 IU/week for 4 to 8 weeks, followed by 1 sachet/chewable tablet (each of 60,000 IU) one per week. This is particularly for diabetics. Recommended upper tolerable limit of Vit. D3 (9 years to 71 years plus, including pregnancy and lactation): 4000 IU/day. RDA: 400 IU to 600 IU (as per age and patient status). In elderly it is 800 IU. Vit. D3 market is rocking! The May 2014 MAT (moving annual total) value is Rs. 252 crores (Rs. 2520 million) and has registered 40.8% growth in comparison to May 2013 MAT value (which was Rs. 179 crores market; MAT MAY 2013). Vit. D3 is marketed as chewable tablets (biggest segment and fastest growing dosage type) (Rs. 87 crores May 2014 MAT value), capsules (mainly soft gelatin capsules) and sachets (powder). All contain 60,000 IU/unit. Uprise D3 (Alkem group), Tayo (Eris) and D3 Must (Mankind) are the top three brands in descending order (with MAT May 2014 values of Rs. 22 crores, Rs. 16 crores and Rs. 6.00 crores respectively). Vit. D3 is used in animal feeds, dietary supplements, drugs and for fortification of foods (like milk and other dairy products, milk mix beverage powders etc). Global 2011 annual market estimate of Vit. D3 is USD: 400 million (40 crores USD or approx. Rs. 2400 crores per annum). 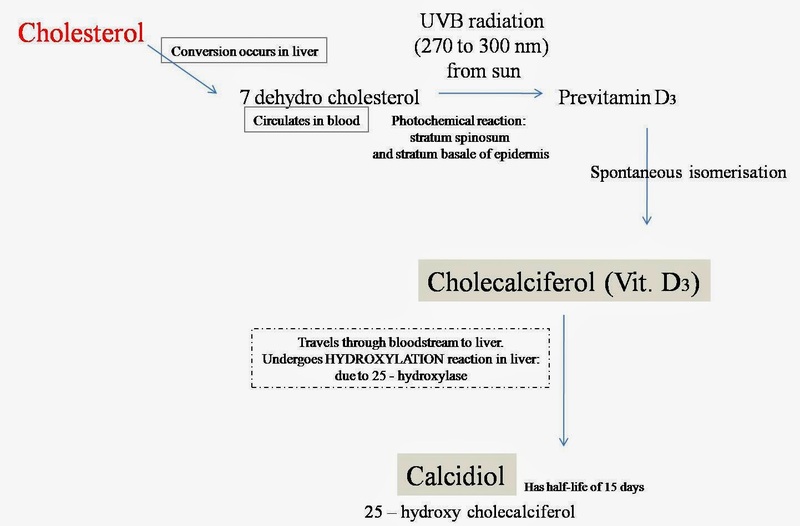 In the above graphic, we see how cholesterol is converted to 7 dehydro cholesterol, effect of sunlight that provides UVB radiation converts this cholesterol to previtamin D3, which spontaneously isomerises to cholecalciferol. The Vit. D3 thus formed is equally broken down fast! Manufacture of Vit. D3 is a continuous process... but the moot point is DO WE GET ENOUGH SUNLIGHT - atleast 30 minutes a day?! The answer is NO, for most of us! Hydroxylation plays an important role for further conversions. The first hydroxylation in liver by 25 hydroxylase converts cholecalciferol to calcidiol. The kidneys then convert calcidiol that enters it through blood - to calcitriol. This is the second hydroxylation, where calcidiol (25 hydroxy cholecalciferol) is converted to calcitriol (1,25 di hydroxy cholecalciferol). Calcitriol is a hormone like substance (chemical messenger): it binds to plasma VDBP (Vitamin D Binding Protein) and circulates in blood. Calcitriol binds with VDRs (Vitamin D Receptors) that are present in a wide variety of tissues from head to toe, to exert beneficial actions! Lack of adequate exposure to sunlight on daily basis is a crucial reason for VDD (Vitamin D Deficiency) (Hypovitaminosis D) or Vit. D3 insufficiency/deficiency in modern life. 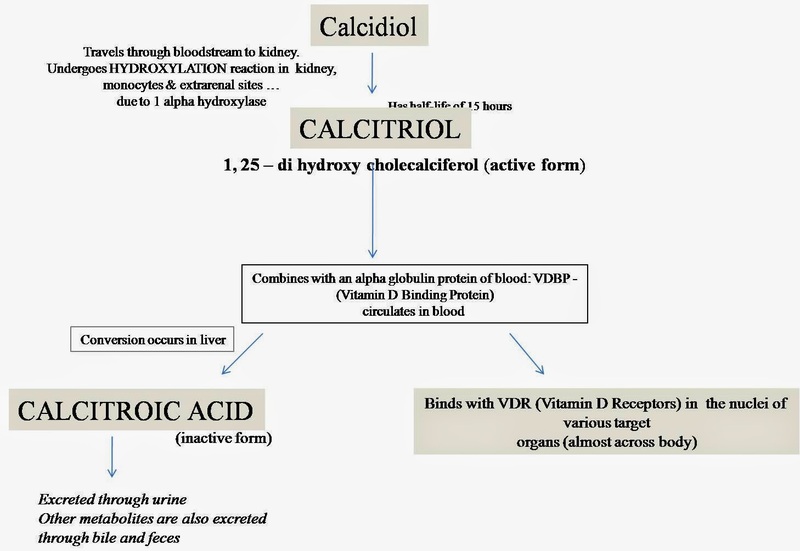 VDD is defined as serum (blood plasma) 25 hydroxy cholecalciferol levels below 20 ng/ml. If most of your life is in the "shade" of buildings, vehicles, and offices or homes - it is time to get your 25 hydroxy cholecalciferol blood level tested! 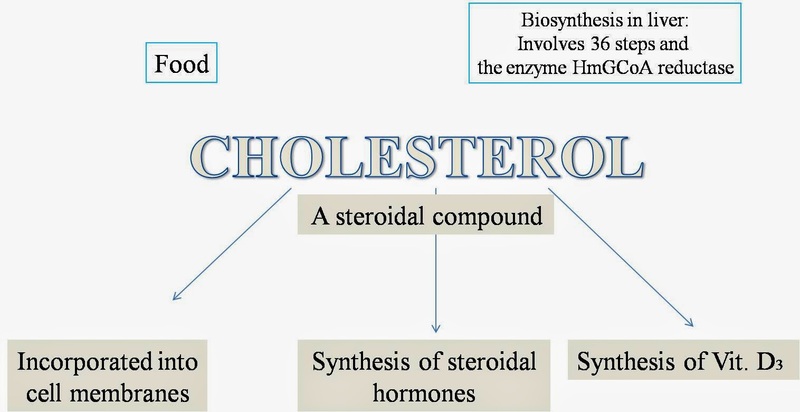 Discuss the above insight on cholecalciferol with your doctor or healthcare provider or well-wishers... it will help you! WISH YOU GOOD HEALTH!! Thanks for reading this blogpost, kindly scroll down and read all other blogposts, kindly recommend this blog to your acquaintances.